Skip the diet. Change your life instead. 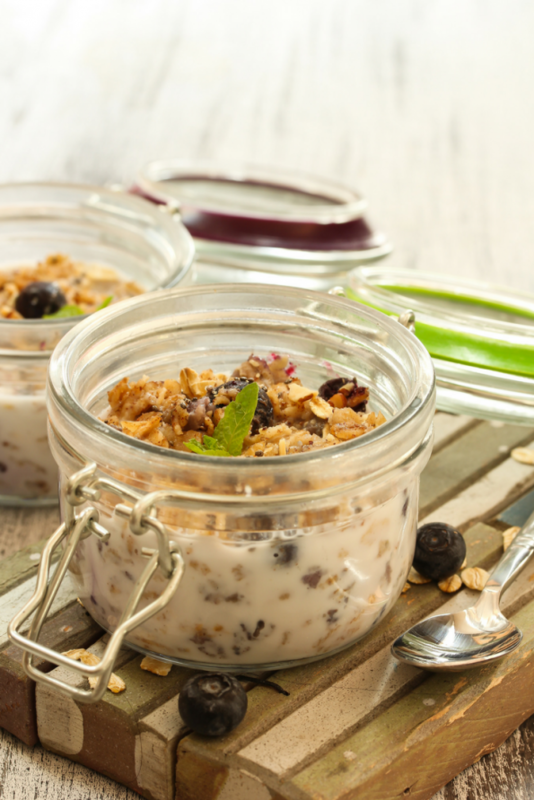 This overnight oat recipe is perfect for warmer months. Plus it’s full of nutrient-rich ingredients that will have you feeling energized and nourished. Now that spring is here, I’ve changed up my breakfast! I’ve been drinking smoothies or eating cold oats. I absolutely love cold oats in the spring and summer! Sometimes I make my oats the night before or on Sunday if I’m meal prepping, but sometimes I throw together my oatmeal bowl in the morning. If I make this recipe right before I eat it, I usually use less liquid because the oats don’t have time to soak up the liquid. One of my desired feelings this year is to feel nourished. I’ve been cultivating that feeling through self-care practices including eating nutrient-rich foods that make me feel good. The superfoods in this recipe include cinnamon, ginger, chia seeds, hemp seeds, bee pollen, maca powder, coconut milk, berries, and almond butter. I also used my favorite vanilla plant protein powder, which is made with high-quality proteins including pea, chia, pumpkin, hemp and quinoa. I love this brand because the products are made with minimal ingredients, and the protein powders are rich and super delicious. You can find out more here. Combine all ingredients except berries in a glass mason jar or glass food storage container. Refrigerate overnight. Top with berries and almond butter before eating. Get more healthy recipes, wellness tips, and inspiration here.